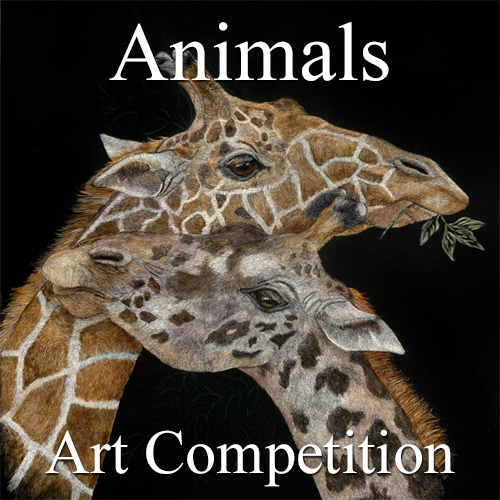 Light Space & Time Online Art Gallery announces an art call for the gallery’s 9th Annual “Animals” Online Juried Art Competition for the month of April 2019. The gallery invites all 2D and 3D artists (including photography and digital arts) from around the world to make online submissions for possible inclusion in the Gallery’s May 2019 online group art exhibition. Light Space & Time encourages entries from artists regardless of where they reside and regardless of their experience or education in the art field. We suggest they send the gallery their best interpretation of the theme “Animals”. The “Animals” theme will be the artist’s interpretation and depiction of animal art. Animal subjects include any living organisms, mammals, birds, insects and any animals that may also live in water. Artists should submit their best abstract or representational animal art before the deadline of April 26, 2019. The top 10 winning artists for this exhibition will be promoted and circulated to over 550+ major news outlets, including Premium News Outlets syndication. (ABC, CBS, CW, Fox & NBC affiliated broadcasting/station websites). With inclusion on Google News & Bing News. Winning artists will also have their art exhibition results posted and promoted on ArtJobs/artweek.com. Artweek produces 800,000-page impressions per month, 280,000 website visitors per month and has 30,000 newsletter subscribers. Winning artists will also have their art exhibition results posted and promoted on Art.Base.co. Art.Base produces 100,000 page views per month, 35,000 monthly unique visitors and has 10,000+ newsletter subscribers. The Top 10 Overall Winning Artists will be featured individually and collectively on the gallery’s Artwork Archive Page. Artwork Archive is a premiere web-based software for visual artists. Manage your inventory, sales & contacts. Grow your art career and exhibit your art on Artwork Archive. In addition to the above, these winning artists of this exhibition will receive extensive worldwide publicity in the form of email marketing, event announcements and wide-spread social media marketing and promotion to make the art world aware of the artists’ achievement. There will also be a video of the winning artists’ artworks on the Light Space & Time YouTube Channel. In addition, there will also be links back to the artists’ website as part of this achievement package. Winning artists also receive a digital Award Certificate, digital Award Ribbon, digital Event Postcard, and Press Release for their art portfolio. Artists will also receive a digital Award Certificate, Event Postcard, Press Releases and the Art Marketing Booklet “101 Free Websites for Artists to Sell Their Art”. Links back to each artist’s website is included as part of this award package. All artwork appearing on LightSpaceTime.art remains the intellectual property of the original artist. By submitting work to be considered for the exhibition, artists grant Light Space & Time Online Art Gallery a non-exclusive perpetual license to reproduce the images of your artwork on our website, in the marketing of the art competitions, including but not limited to, the gallery’s social media network outlets. Light Space & Time Online Art Gallery is granted usage of the chosen artwork, only for display, marketing and promotional purposes for that art exhibition and for any future Light Space & Time Online Art Gallery themed art exhibitions. Usage of the image(s) is limited to any Light Space & Time Online Art Gallery publicity including, but not limited to, press releases, event presentations, articles, compilation slide shows and videos, brochures, catalogs, event mailers, and for use on the Light Space & Time Online Art Gallery website.